Fire is in some ways the sequel to Graceling, except it's set in a different part of the world to that novel, where the rules of magic are quite different. Separated from the world of gracelings by a series of mountains, Dell is a country full of monsters and on the brink of war. All kinds of animals can be monsters, and they are marked out from the ordinary versions of their kind by their unusually bright colouring, their craving for the flesh of other monsters, and their power to psychically influence the weak minded. Fire is something extremely rare, a human monster. Her exceptional monster beauty means she can control other people if she has a will to, and if they're susceptible to her, which most are. Some men will go mad with jealousy over her, which leaves her cautious in her dealings with other people. Other people's passion for her leaves her hurt more often than it gets her what she wants, since she has resolved not to use her power for evil or against her strict ethical boundaries. Given the choice, Fire would rather hide away in a quiet corner of the countryside and not bother anyone. But soldiers are riding up and down the country trying to quell the attacks of ambitious nobles and neighbouring kingdoms, and tensions in Dell are too high to leave her out of the coming battles. When Fire is attacked by people whose minds are curiously clouded it's the start of a mystery that takes her away from her country retreat. 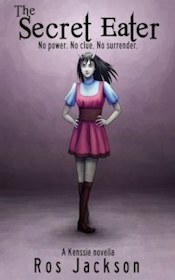 Soon she is summoned to the city, to a court where she doesn't feel like she'll fit in. The memory of her father's twisted legacy makes her a target for people's resentment and deep distrust. For someone meant to be a great beauty, Fire bears a lot of scars. Yet little seems to diminish her appeal, which shines especially brightly when she uncovers her long blood red hair. She suffers the worst of beauty, with too much attention which is often hostile or based on jealousy. This tends to taint her relationships. This story resonates with #MeToo, even though it was written before that movement was invented. For anyone who has been a victim of sexual assault this may make difficult reading, although for a general reader it's not especially brutal. Fire features a slow burn romance, punctuated by a brewing war, mysterious assassination attempts, and cute domestic scenes. It works to an enjoyable formula. 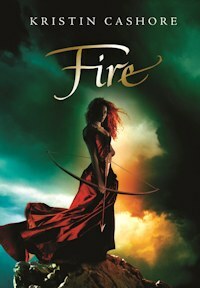 Fire is caught between a passionate but distracted king, his brooding younger brother, and her besotted friend Archer. There are complex webs of family ties and rivalries, more love hexagons than love triangles. This is a much more sombre novel than Graceling, and themes of death, grief, love, and the fear of the ruin of war predominate. At some points it is vividly gory. However, there is a sense of a society moving on as it discovers medical advances and learns from the mistakes and trauma in Dell's past. A little sweet, a little sad, Fire is a story to savour for its varied, flawed, and credible characters and its mature consideration of love and loss. A convent-trained assassin roots out plots at the 15th century Breton court. Book one of the His Fair Assassin series. Is Tokyo in Japan or Iran?